Stocks: Markets ended in red on concerns about future foreign equity inflows triggered by tougher norms from the Securities and Exchange Board of India (Sebi) on Offshore Derivative Instruments (ODIs) or participatory notes (P-Notes). Sentiment was also affected on fear that the US central bank may resume raising interest rates in the United States as early as next month. State Bank of India (SBI) slumped 7.32 per cent. SBI announced that it is seeking in-principle sanction of the Government of India (GoI) to enter into negotiation with its five subsidiary banks to acquire their businesses, including assets and liabilities. The BSE benchmark Sensex resumed higher at 25,528.80 and shot up further to 25,927.31 on initial buying, after investors raised their exposure following exit polls that showed BJP coming to power in Assam for the first time. However, it dropped afterwards to 25,251.90 before ending the week at 25,301.90, showing a loss of 187.67 points or 0.74 per cent. The NSE 50-share Nifty also dropped by 65.20 points or 0.83 per cent to 7,749.70. “Market participants were worried about the flow of foreign funds into India after Sebi tightened norms for issuers and subscribers of ODIs or participatory notes for the purpose of enhancing the transparency and control over the issuance of ODIs,” said Shreyash Devalkar, Fund Manager Equities, BNP Paribas MF. In the broader market, the BSE mid-cap index dropped 132.89 points or 1.19 per cent to settle at 11,023.18. The BSE small-cap index skidded 149.04 points or 1.34 per cent to settle at 10,964.26. The fall in both these indices was higher than the Sensex’s decline in percentage terms. Among the S&P BSE sector and industry indices, capital goods fell by 2.27 per cent, followed by power (1.95 per cent), bankex (1.58 per cent), consumer durables (1.28 per cent), Oil & Gas (1.14 per cent), healthcare (1.02 per cent), auto (0.84 per cent), metal (0.55 per cent), teck (0.54 per cent), IT (0.11 per cent) and FMCG (0.10 per cent). However, only realty rose by 2.13 per cent. Among the 30-share Sensex pack, 21 stocks declined and the rest nine rose during the week. Other major losers were Adani Ports (5.60 per cent), Lupin (4.99 per cent), Reliance Ind (4.49 per cent), Cipla (4.52 per cent), Bharti Airtel (3.60 per cent), NTPC (3.01 per cent), ICICI Bank (2.87 per cent), Bhel (2.81 per cent) and Gail (2.65 per cent). On the other hand, Dr Reddy rose by 4.36 per cent, followed by ONGC (4.31 per cent), ITC (3.34 per cent), Maruti (2.66 per cent), Asian Paints (1.45 per cent) and HDFC (1.20 per cent). The total turnover during the week on the BSE rose to Rs 15,237.67 crore from last weekend’s level of Rs 12,550.76 crore, while that on NSE fell to Rs 79,727.92 crore from previous weekend’s Rs 85,455.02 crore. 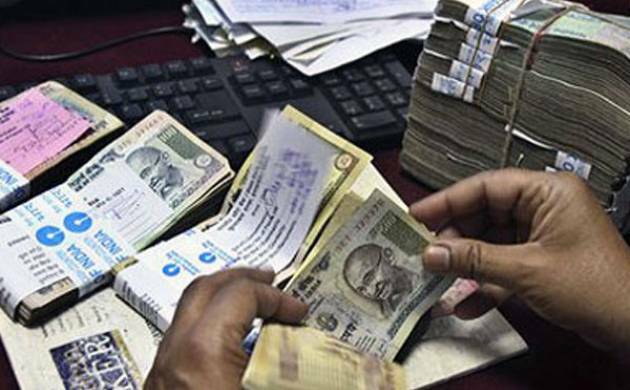 The rupee sentiment was also affected following tougher norms from the Securities and Exchange Board of India on offshore derivative instruments (ODIs) or participatory notes (P-notes) which will affect foreign capital inflows. International Brent crude rose to $50 a barrel mark after a multi-week rally as outages in Africa and Canada and production declines outside of the Middle East region fuelled expectations of a tighter supply. The rupee resumed lower at 66.90 per dollar as against the last weekend’s level of 66.77 per dollar at the Interbank Foreign Exchange (Forex) Market and dropped further to more than 2-1/2 month low at 67.50 per dollar before concluding the week at 67.44, showing a loss of 67 paise or 1.00 per cent. The rupee had last ended at 67.54 per dollar on March 2, 2016. The rupee has lost 111 paise of 1.67 per cent in three weeks. The domestic currency hovered in a range of 66.67 and 67.50 per dollar during the week. Meanwhile, the Indian benchmark Sensex dropped by 187.67 points or 0.74 per cent to end at 25,301.90.